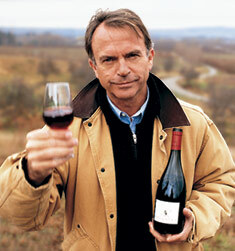 Two Paddocks is a small family wine producer owned by New Zealand actor, Sam Neill. His mission is simple, "we have become outrageously ambitious – we want to produce year after year, the world’s best Pinot Noir." The winery started in 1993 with modest ambitions and first planted five acres of Pinot Noir at their original vineyard at Gibbston, Central Otago in the South Island of New Zealand. 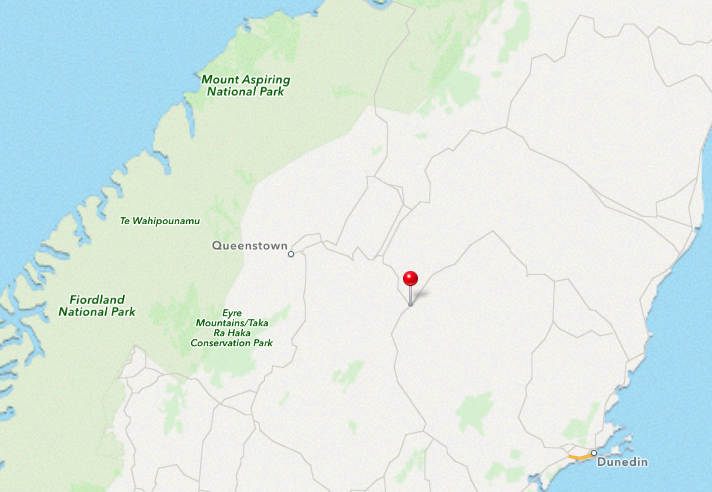 At the same time, Roger Donaldson planted the land next door, hence the name Two Paddocks. The first vintage was produced in 1997 and they planted another 5 acres of Burgundian clones there in 2008 bringing the total acreage at Gibbston to 5 hectares. They added two other small vineyards in the Alexandra district, a 7-acre vineyard on a very beautiful terrace above the Earnscleugh Valley and this was planted it with Burgundian Pinot vines (5, 6, 115) in 1998. In 2000 Two Paddocks acquired Redbank, a 130 acre small farm which became their main vineyard and they planted more Burgundian pinot clones there (777, 667 and 115 primarily). The pinot from this vineyard is the backbone of “Two Paddocks Pinot Noir”, as well as the production site for their Riesling. In 2008, the winery attained full organic status for Redbank and the Last Chance Paddock. But as part of various personnel changes in the vineyard and certain economic realities they have slightly backed away from a totally organic approach, using a limited amount of herbicide for weed control in the vineyard, but no pesticides or fungicides. Two Paddocks is the winery’s flagship Pinot Noir - an estate grown, barrel selection from the Neill family estate vineyards in Central Otago by winemaker Dean Shaw. These vineyards are high-density and intensively ‘man-handled’ with nearly all vineyard practices carried out by hand (with the exception of compost spreading). As in the vineyard, the wine is hand crafted using traditional methods including a 25% whole bunch fermentation in French oak cuvees and hand plunging. It is then aged in French barriques for 11 months, using a mix of older and new (25%) barrels. In 2010, flowering took place over reasonably unsettled weather in December, and because of this berry size was smaller and bunch weights lowered. The unsettled weather patterns change from late January and our vintage finished with higher than usual temperature and long settled periods of dry, hot autumn days. The smaller berry size, lack of disease pressure and long length of ripening ensured a top quality wine with 1000 cases made. The nose on this Two Paddocks was incredibly powerful - Black cherry, strawberry, blackcurrant and floral notes. The palate was ultra smooth and textured with the cherry, strawberry balanced by herbs and earthiness – again more of a robust than finessed Pinot. The finish was long, long, long. Lovely. This is up there with one of my favourites, Felton Road Pinot Noir. Keep it up Sam!